Whenever I'm feeling uninspired, I search through my cut file library for inspiration. This layout was the result of a library search. I've had this cut file for awhile, and was glad to finally use it! 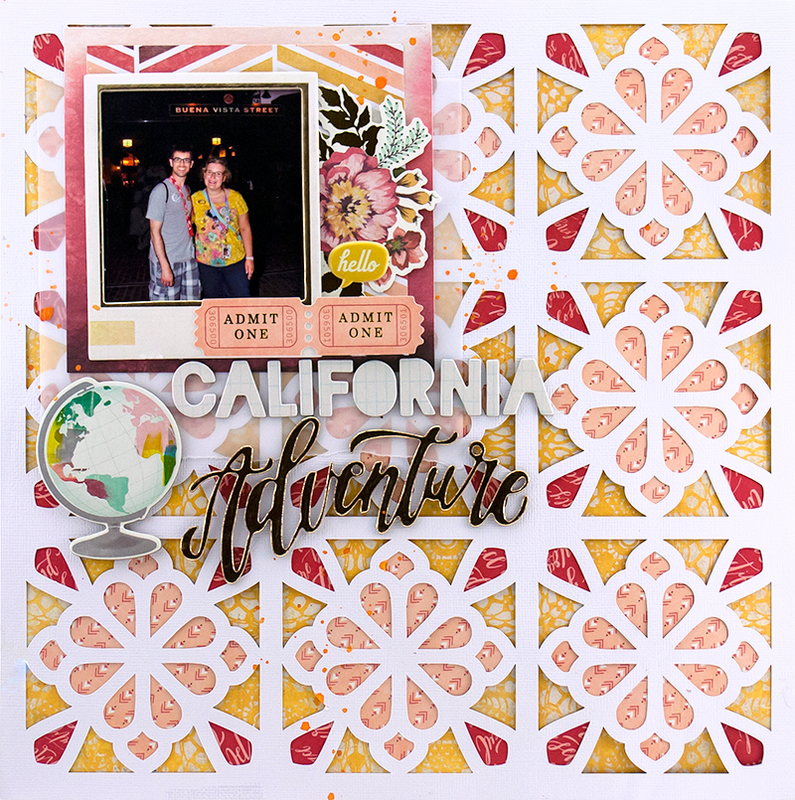 I used the We R Memory Keepers Wildflower collection, which has a fun, travel vibe to it. I am in the mood to scrapbook our Disney Honeymoon pictures since we're going to Disneyland next month! The yellow in wildflower coordinates perfectly with my yellow shirt! I absolutely love those gold title thickers. 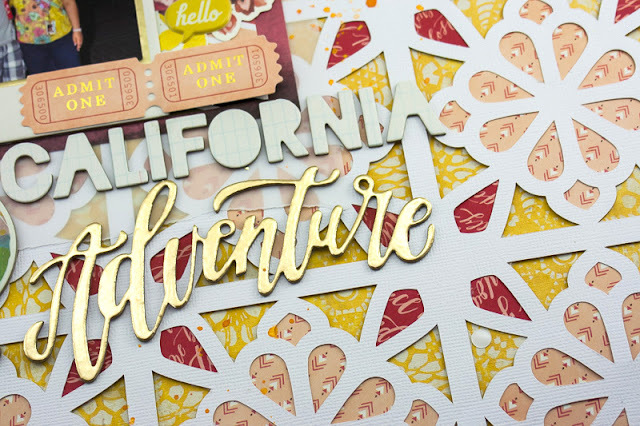 Such a beautiful font! I will never, ever get tired of backing cut files.